As the smallest of the Squeezetops® pharmacy vial series, the PST8 is designed for storing lower quantities of vitamins, pharmaceutical drugs, and natural supplements. The squeeze-to-open lid provides a unique certified child resistant design compliant with many industrial and medical standards. Squeezetops® are made in the USA with medical grade materials. 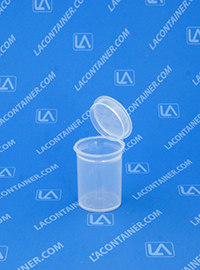 The Squeezetops® PST8 container was evaluated using the consumer product safety commission protocol and standards. 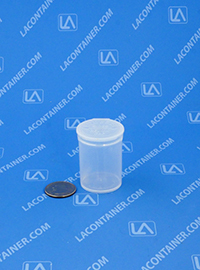 The study indicates the PST13 container fulfills the requirements for a poison prevention package as per the current code of federal regulations (C.F.R.) Title 16, Part 1700. 1.423" Dia. X 1.870" Ht. 1.225" Dia X 1.681" Ht. 36.14mm Dia. X 47.49mm Ht. 31.11mm Dia. X 42.69mm Ht.